Protestant Christianity was not uniformly hostile to the use of religious images. In result Englands most well known painters such as Holbein d.J. are actually not from England, he imigrated from Germany. Turner was a lonely exception for a long time, once in a while a lonely painter showed up but often were satisfied painting hunting scenes, horses or ships in battles. In the 20th century, both Freud or Bacon are examples of a new start in english painting. 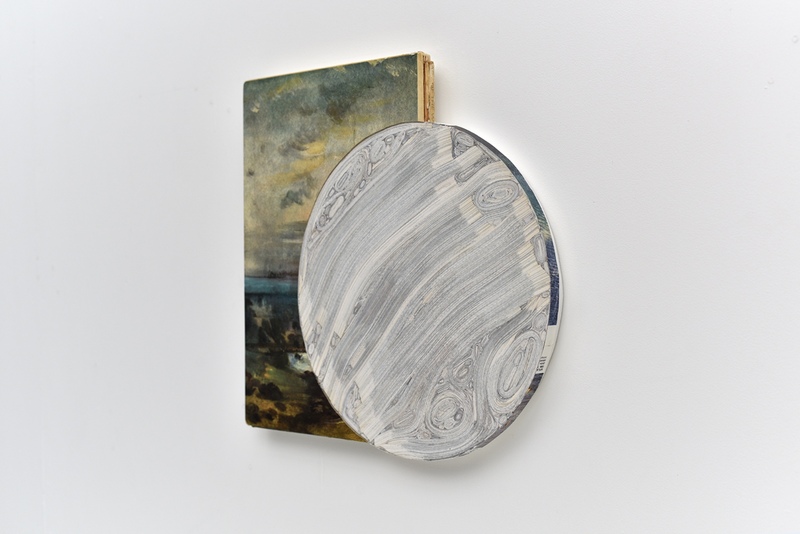 In this sculpture, Callan turned one book into a planet-like-object and connects it to another work about english paintings, here a painting that shows the beach and waves. The planet could be a moon, causing falling or rising tide. It is so close to the viewer, it could almost be on crash course to earth, the end of times. 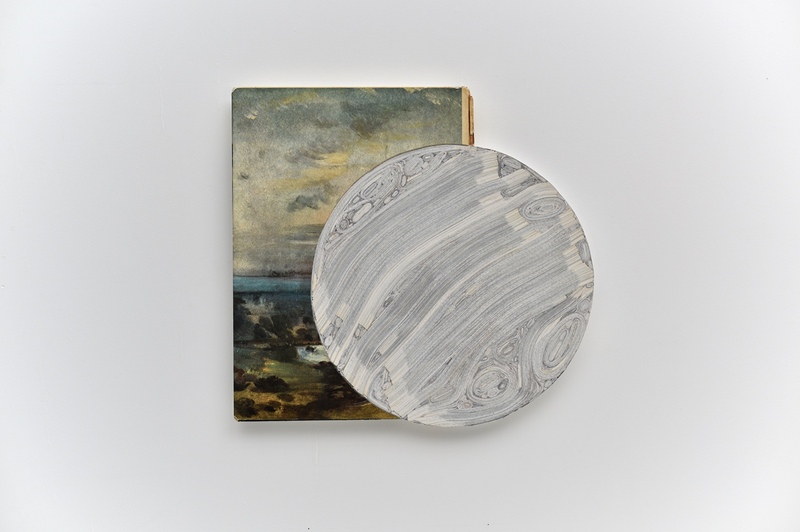 Callan stripped away the original content of the book, turned it into an object with different meaning. It is an aesthetic sculpture with new meaning, it shows scenes from nature that we are often limited in our abilities to describe, watching the neverending oceans and the universe produces aw and more and more questions: What? Why? Why do we exist? Why can we not grasp this?